Ari Kaplan spoke with Kim Massana, the new president and CEO of Neota Logic, a no-code application development platform used by a variety of organizations throughout the legal community. Ari Kaplan: Tell us about your background and role at Neota Logic. Kim Massana: I am from Barcelona and lived in London for a while as part of the go-to-market sales and marketing team for Westlaw. I moved to the U.S. in 2010 to serve as the president of Elite and lead the team responsible for financial management applications at large law firms. I left the legal community for a few years and then returned to Thomson Reuters to serve as the global head of customer experience. In October 2018, I joined Neota Logic. Ari Kaplan: What is your mission as the company’s new CEO? Kim Massana: My mission is to grow the company. We have a proven platform that many law firms and Fortune 500 corporations around the world are using so we expect to scale the company over the next two to three years. Ari Kaplan: How is the legal community using Neota Logic’s technology? Kim Massana: Professionals are using it to democratize their expertise either by applying it internally to improve the efficiency of their processes or by making it available to their clients. Our proposition is to empower our users to leverage expertise through AI automation and make their knowledge scalable and repeatable. Ari Kaplan: What is the difference between your no-code approach and other forms of application development? Kim Massana: Users of our technology don’t need any IT involvement. It is easy and intuitive because experts can run the application without any specific knowledge of computing or coding. Ari Kaplan: What practice areas tend to be most receptive to using technology like this? Kim Massana: Law firms are using Neota Logic to provide expertise on compliance, among other topics, and giving their clients direct access to this knowledge. Rather than charging per hour, they are offering it on a subscription basis. In corporate legal departments, we are interacting with legal operations teams to support their high-volume, repetitive processes and automating nondisclosure agreements. We have a product called PerfectNDA that helps to cost-effectively manage that process. Ari Kaplan: How does Neota Logic’s technology differ from similar players in the market? Kim Massana: We bring together three core competencies: complex reasoning, workflow and document automation in a unique, structured way. It is the combination of the power of good reasoning, clear workflow and the automation of documents that differentiates us in the market. Ari Kaplan: Are there other sample use cases that you find particularly common? Kim Massana: At one Scandinavian law firm, we help automate the client onboarding process to integrate it with Salesforce and DocuSign. Ari Kaplan: Where do you see the greatest area of growth for this technology? Kim Massana: We have been successful with Am Law 100 firms and large corporations. We see additional opportunities in the corporate world with legal operations teams because they are investing in streamlining their processes. We operate on a global basis and are gaining a lot of traction moving from the U.K., which was our original base, to the rest of Europe, as well as in Australia and Singapore. Ari Kaplan: How has your technology evolved? Kim Massana: We have invested in visual, web-based drag-and-drop solutions that allow anybody to capture their expertise and make it readily available. We are also improving the user interface to make it much more intuitive. And we are enhancing our precedent management module to ensure that we streamline interaction with legal precedents. 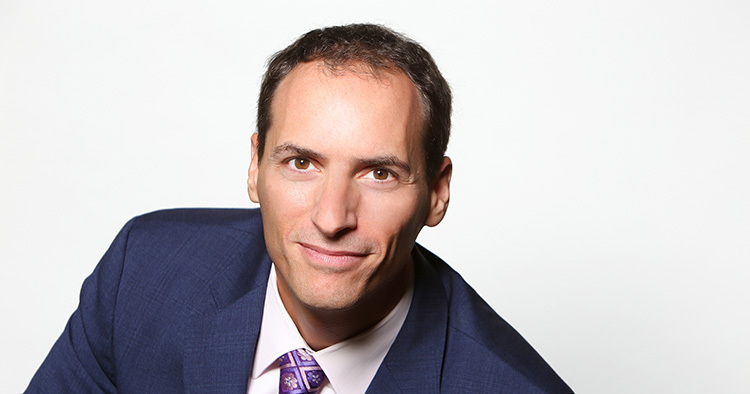 Ari Kaplan regularly interviews leaders in the legal industry and in the broader professional services community to share perspective, highlight transformative change and introduce new technology at his blog and on iTunes.